Franchement urad est un bon produit, je le préfère à la compétition. Pour le soin de mon jacket de cuir, je le recommande vivement. I wanted to thank you for your help in selecting the Urad products last week. I purchased them to help revive my old but still in good shape black leather jacket. On the weekend I followed the process and my jacket looks fantastic (better than I actually expected). Thanks again! 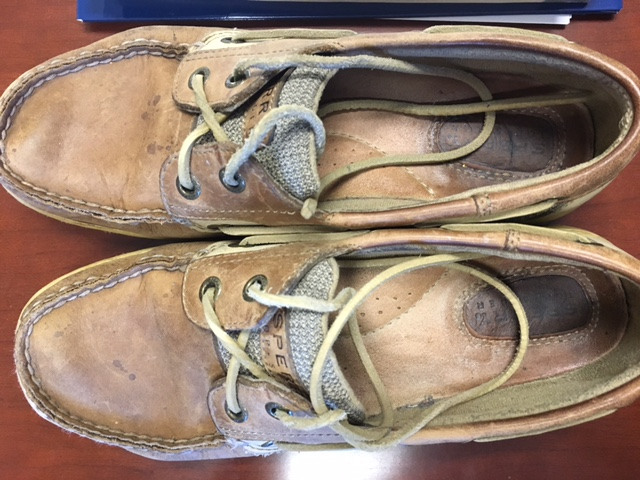 I wanted to show you my refurbished shoes. They look a lot better now. I'll take better care of shoes I purchase from now on since I have the products I purchased from you. I'm so happy and utterly impressed....I only Wish I could show you right now!!! 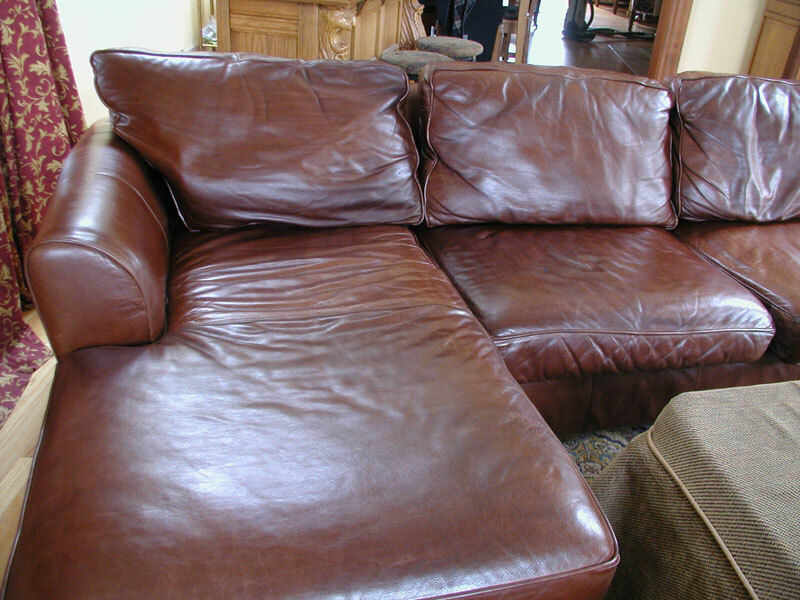 I have, for years, been trying to find a safe effective cleaner for my cream leather couches. Nothing has worked. Yesturday, I attended a show where your vendor was selling this product....not only did we get our shoes shined...(Thank You! ), but I finally found a cleaner that works!! I used it in my leather couches today...I'm seriously amazed and really so happy, I had to write this review. Great great product...great price point...I highly recommend it! I can't believe how it took the discolouration out of the sofas. It dried within minutes. No more dark Jean stains!!! I should have bought more! Thank you...scincerely thank you! Urad never cease to amaze me! 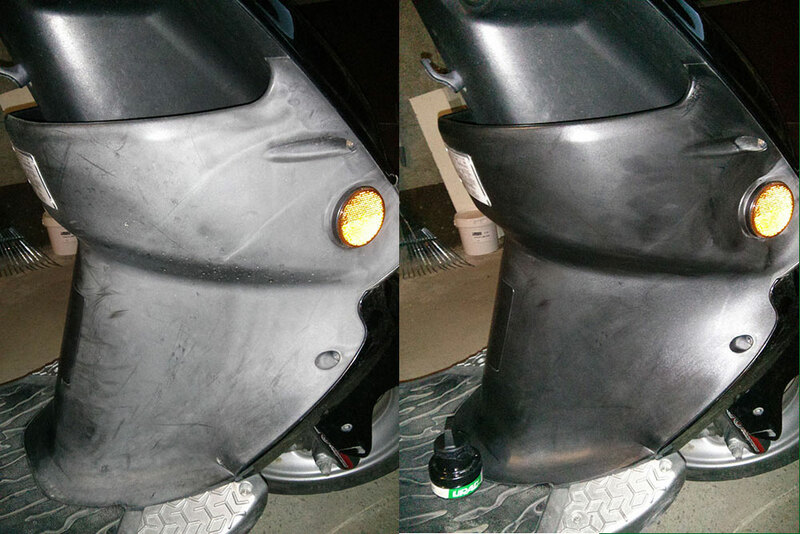 I did the old faded vinyl front panel of my scooter and it looks new again! Received my Urad products that felt like a "gift"! 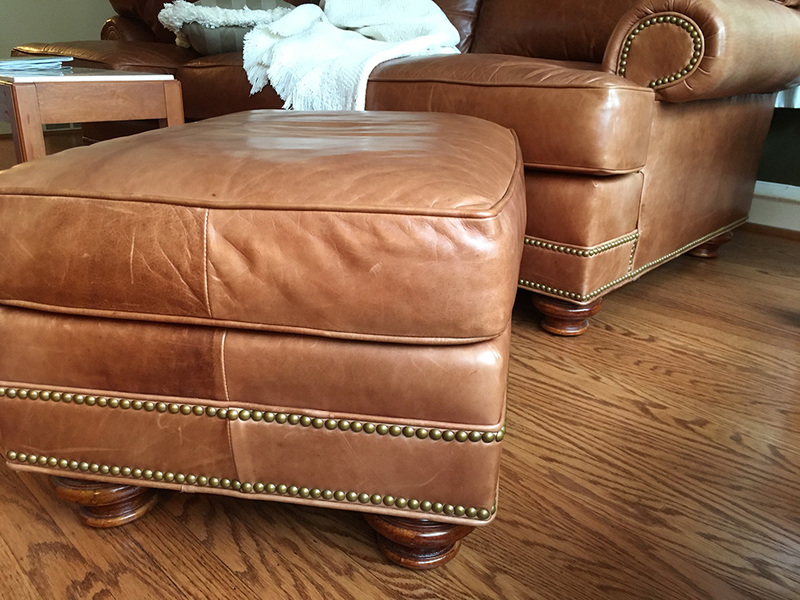 As you already know the Urad products are unbelievable in bringing back life to leather furniture. My furniture is looking youthful again! I also want to express sincere appreciation for your advice and service over the phone. Please feel free to post my commendation for an exceptional product. It's either Urad or nothing at all! URAD.COM NOTE: Customer got Aquila, Urad and Tenderly. I am using the product on a nubuck leather saddle (Torsion). It seems to do what it promises; it really does and continues to do a nice job. I pre-cleaned the saddle with a brush, sprayed on the Aquila, and rubbed it off with a soft cloth. It did look very nice. I did not want to goop up the Nubuck with oil and with the spray it does not take long to have a clean-looking saddle. Received this super fast, great products, thank you! 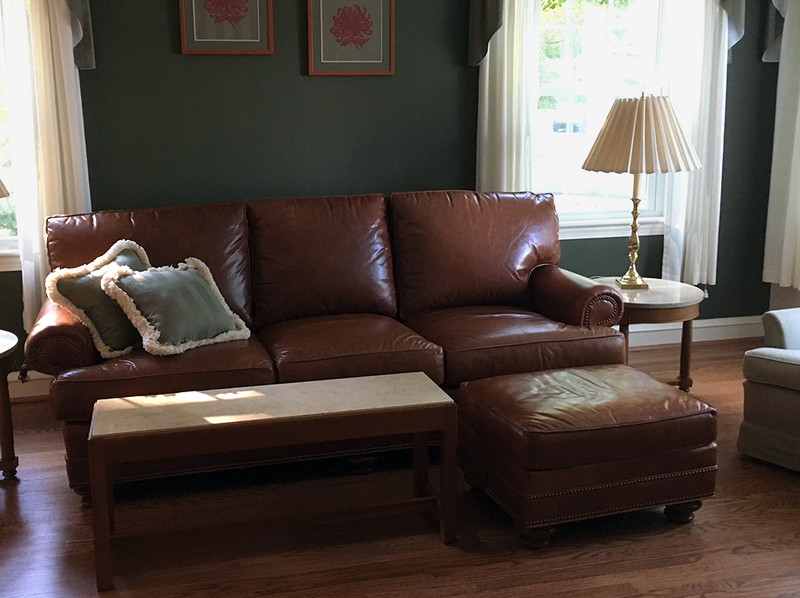 I contacted Dynamique9 Inc. at Urad.com and was so impressed with the help he gave me as to what product was right for my leather sofa. it was dry and cracked and stained. He even gave me specifics for certain stains! Now my sofa looks brand new. The old color and shine is back. 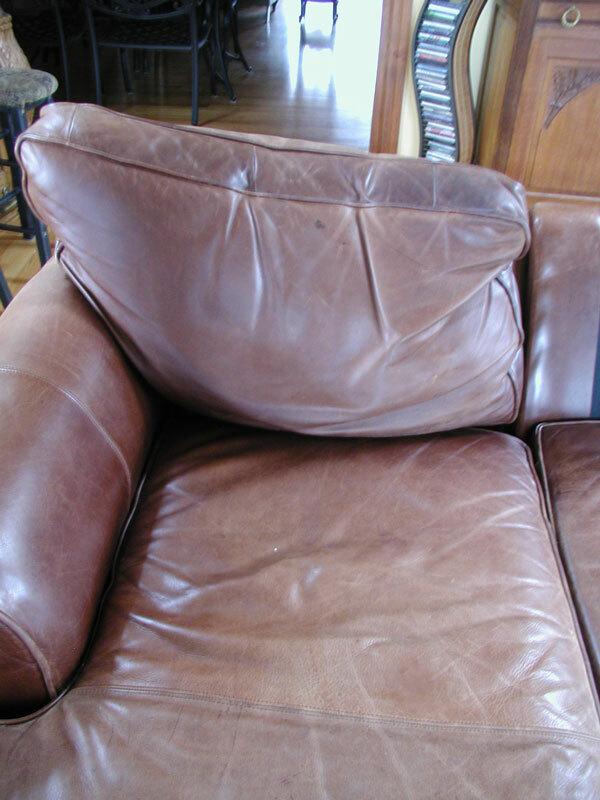 I even enclosed pictures to Urad.com of my old sofa and will send the new. It's amazing I have my next order all ready because I even tried it on my old leather backpacks and they too are like new. I didn't think I would be writing a commercial but with something this good you need to spread the word. Thank You Dominique! Thank You for your Urad products! URAD.COM NOTE: Linda got Aquila, Tenderly and Urad. We sell thousands of pairs of Department store returned shoes. Also, sporting goods, luggage and purses. Occasionally, they have a scuff or a mark. URAD products clean them up beautifully. I now have 3 kits of URAD with all the colors, Grasso and Aquila. One with my shipping manager to touch up, one with me if they just need a light touch, and one with my refinisher. Thanks, URAD! After a free shine with URAD at the South Padre Island "Roar by the Shore" MC Rallyin October, I bought a jar, and proceeded to share it with seven of my riding companions. We knew we would be riding in heavy rain much of the 200 miles back up the Texas Coast, and three would be riding another 130+ in stormy weather.My BMW R1200 saddle also got a coat, as did ALL the leather and vinyl of a Honda GL 1500 Three Wheeler. Everyone arrived with dry feet, and my bike seats looked perfecct! In fact, everbody's boots looked perfect! All were impressed with the product, and decided to make a purchase. I've since redone my saddle and passenger seat, two pairs of my moto boots, my wife's boots, my neighbor's boots, my riding gloves, and I still have half of the seven oz. jar! This is real value. I recently went online to investigate this product at the source. I was impressed to find such an array of products for various materials and applications, as well as a Customer Support page that was so informative. The Sales Representative with whom I spoke at length about the various products was very knowledgeable, helpful, and has personally used most of the line himself, it would seem! I ended up ordering almost the entire product line, and now I'm prepared for the superior care of all my leather, and some of my fine wood as well, for a long time to come. 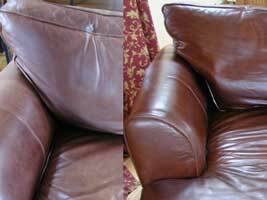 Aquila is a fast and effective leather cleaner. I use URAD to polish and seal tack items after repair. Nice products! I got EXCITED when I found Urad products!!! They are so remarkably better than the other products out there for cowhide and suede, AND, I have never found anything that will work for lamb in the applications Urad has made available! I've been able to tap a whole new market in my business because of a service I could not provide before. That of redying and conditioning lamb coats. I'd had frequent requests in the past, but I could never capitalize on that avenue. In 31 years of leather working, making hard leather belts, sheepskin coats & vests, high end leather coats with detachable fox collars, specialty items of exotics,and leather garment repairs and alterations. I've never found anthing close to the Urad products!!! You may be interested to know that Urad is very much favoured by the side-saddle fraternity in Great Britain. Our saddles are, in the main, very old and as you can imagine it is very difficult to keep the leather supple and in good condition. I have restored 4 very sorry looking saddles to near show condition using Urad Shoe and Leather Cleaner. 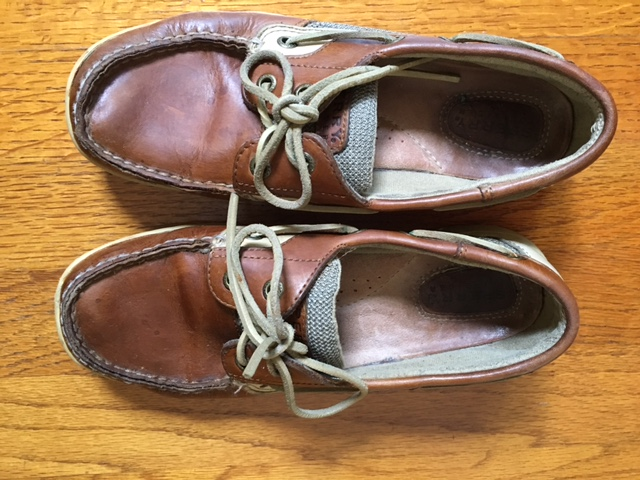 For regular maintenance it is so much easier and less messy than leather oil. Incidentally, my side-saddles date one from the 1890s, two from the 1920s and one was made in 1909! I bought a jar of Urad cream at the National Finals Rodeo after the gentalman used it on my boots. My husband refurbishes old saddles & ran off with the can as soon as we got home from Las Vegas. Those old, abused saddles come out so beautiful that even our saddlemaker friend was impressed! I've just reordered an extra jar for him & am trying the Aquila as my new saddle has a suede seat & fenders! I have never had a product clean my saddle like Aquila!! The silver laced rawhide trim is white again. They now look next to new. I wouldn't have bought a jar of URAD thinking it was way too expensive and wouldn't go far enough but it only takes a tiny bit and is well worth every penny. I have been telling all of my barrel racing friends.